Paying visit to the Hindu holy city of Pushkar a soulful experience. Accommodation in well appointed centrally located hotels with all modern amenities. Highlight of the tour – ‘The Taj Mahal’ most precious gift of love on earth. Enjoy the real taste of Indian culinary in authentic Indian eateries. A memorable trip to provide you a chance of shopping of all local stuff, yes you want it. Note: Valid for minimum 02 travelling persons. This magnificent journey of India surely create memories which you will cherish rest of your whole life. It can be a noise of busy streets honks, the morning chants of temples or either taste of Indian curries. This tour has something for every traveller to know this vibrant country with its real flavors. Welcome to India!!! On your arrival at Delhi International Airport you will be received by our representative and assisted till your room in your hotel. 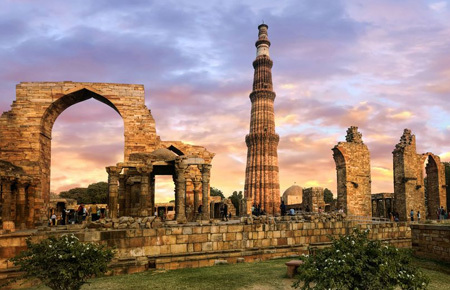 Delhi – Mysterious eternity – Imperial past and pulsating present! India’s capital Delhi, a product of over 5000 yrs history, houses 2 World Heritage sites and the finest museums. 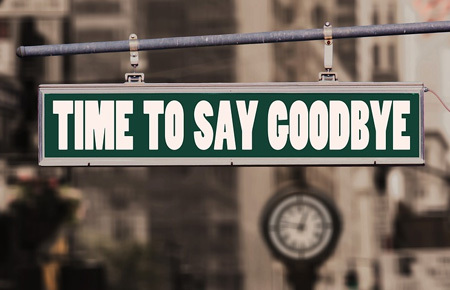 Remaining Day at your leisure. Overnight stay at your hotel. 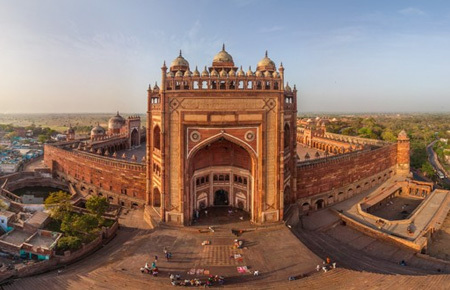 Spend your day for Delhi sightseeing and experience the chaotic charm of Old Delhi. Visit Red Fort, Humayun’s Tomb, Jama Masjid, Chandini Chowk, Qutab Minar and the Gandhi Memorial at Raj Ghat. Later drive around Govt. impressive buildings of the British Era designed by Lutyens such as India Gate, Parliament house of India and President Palace. Take a fascinating Rickshaw Ride to glimpse the colorful streets and local bazaars of old Delhi. Overnight stay at your hotel. 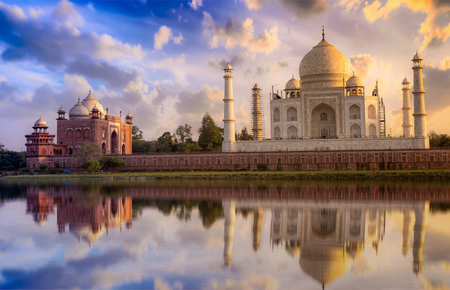 Famed for the awe-inspiring Taj Mahal, Agra is a city with a fascinating history and is rich in Mughal heritage, lush gardens and exquisite buildings and temples. On arrival at Agra check-in to your Hotel. Spend your day for Agra sightseeing. Move out to visit seventh wonder of the world, Taj Mahal. Explore the Red Fort of Agra. 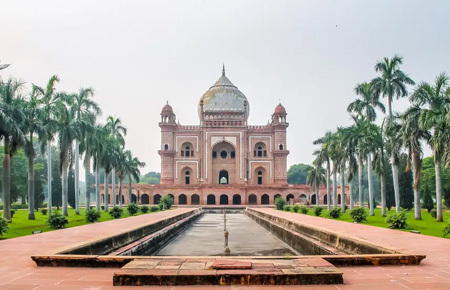 You can also visit Mehtab Bagh. In the evening you have the option to enjoy the show “Mohabbat The Taj” at Kalakriti cultural centre. Overnight stay at your hotel. After having the delightful breakfast check out from the hotel and later drive to Jaipur – The ‘eternal Pink city’ enclosed within hills, this’ rose pink’ city is Rajasthan’s capital. En-route visit Fatehpur Sikri. On arrival at Jaipur check-in at your hotel. Time free for leisure. Jaipur was designed by royalty and has delighted visitors for centuries with its pink-hued buildings, wonderful bazaars and rainbow of bright colors dancing along hectic streets. Overnight stay at your hotel. Spend your day for Jaipur sightseeing. 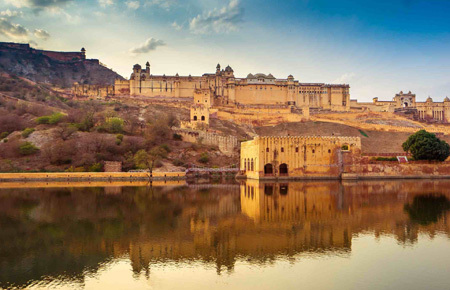 Explore the Amber Fort, a classic, romantic Rajasthani Fort Palace which displays a beautiful mix of Mughal and Rajput styles of architecture. Here at Amber Fort, enjoy the Elephant Ride; you’ll ascend till the gates of majestic Amber fort on elephant back. Later visit Albert Hall, City Palace, Palace of Winds (Hawa Mahal) and the world’s largest stone observatory – Jantar Mantar. In the evening visit Birla Temple and Ganesh Temples. Overnight stay at your hotel. 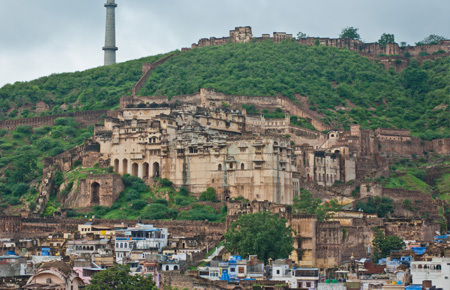 Morning drive straight to Bundi – a tiny picturesque town, one of the unexplored cities with a rich historical wealth. On arrival check-in at your hotel. Later move out to visit Taragarh Fort, Sukh Mahal, Phool Sagar and Chhattar Mahal. Over night at your hotel. 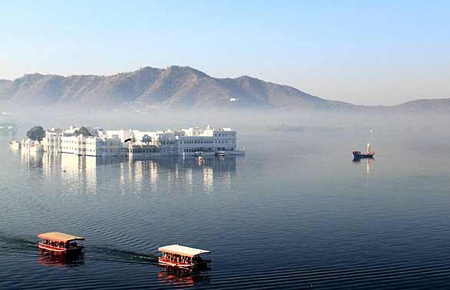 With tranquil lakes, Udaipur is a truly beautiful city with fabulous heritage buildings, restaurants and narrow laneways. 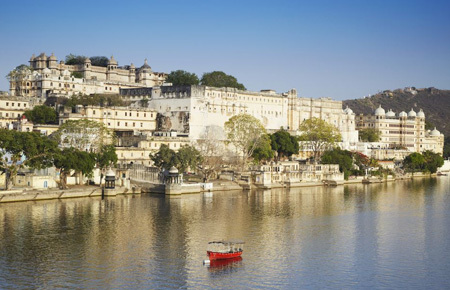 On your arrival at Udaipur check-in at your hotel. In the evening take a breathtaking boat tour over the picturesque Lake Pichhola to admire the royal buildings around the Lake and enjoy the scenic sunset view. Overnight stay at your hotel. In the morning move out for a sightseeing will start at the City Palace and Crystal Gallery. Later visit Saheliyon ki bari, Jagdish Temple, Bhartiya Lok Kala Mandir (Folk art museum) and the Pratap Memorial. In the evening you have the option to visit Bagore Ki Haveli. Overnight stay at your hotel. 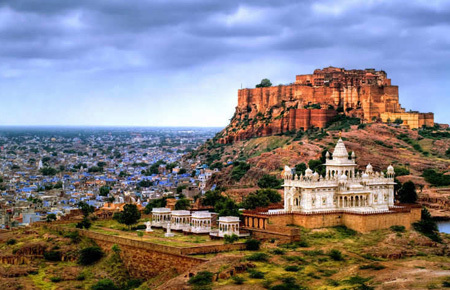 India’s enigmatic ‘Blue City’, Jodhpur, has a captivating Old Town with palaces, heritage buildings, colourful streets and the Mehrangarh Fort shining like a jewel high above the city. On arrival check-in into your hotel. Later move out to visit the majestic Mehrangarh fort, Jaswant Tada, Clock Tower and Sardar Bazar. Enjoy picturesque view of the Umaid Bhawan Palace and experience the life styles in the busy old bazaars. Overnight stay at your hotel. The holy city of Pushkar is a place of beauty with its whitewashed buildings, serene lake, rooftop restaurants and impressive temples. On arrival at Pushkar, check-in at your hotel. 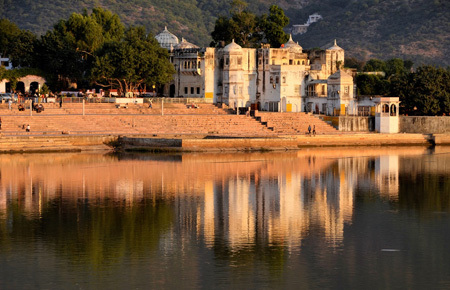 Visit various temples and ghats and holy Pushkar Lake. There are more than 400 hundred temples in Pushkar but the main attraction being the temple of Lord Brahma, the only temple in India dedicated to Brahma. Rest of the time completely free to explore the Pushkar on your own. Overnight stay at your hotel. The above proposed tour is based on private departures, whereby you can benefit from having a private air-conditioned car, stop en-route for breaks or photo opportunities. 10 Nights accommodation in hand-picked centrally located Hotels in air-conditioned Double occupancy room (King or Queen Size Bed) with attach bathroom. Services of an English Speaking Guide during all your Guided City Sightseeing Schedules. Transportation and sightseeing in an exclusive air-conditioned Vehicle as per the group size. Mineral water bottles will be provided during long drives between destinations and City sightseeing. Vehicle will be equipped with Ice Box and First Aid-Box. All kind of personal expenses such as tipping, laundry, telephone bills, and beverages. Optional, suggested or unspecified activities like rides, shows etc. Any item that is not mentioned under Package Inclusions header. 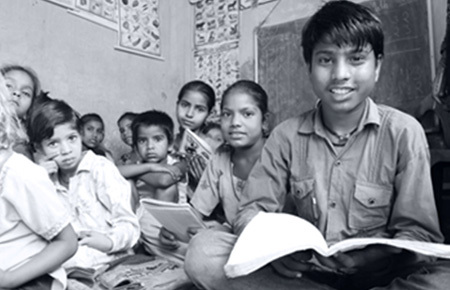 Corporate Social Responsibility is an integral part of our organization. 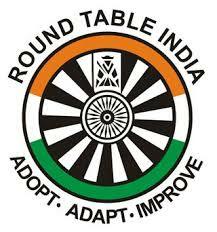 We support Child Welfare projects in Jaipur through Round Table India, who work with grass root communities supporting the boarding, lodging and education needs of orphaned / abandoned children. A part of our earnings from you will routinely go for charity.